The Shanghai Dutch School is unique to BISS and is now a very established part of our school as is the Dutch Community. The Maasland family are one of the many Dutch families enjoying life here in Shanghai and at BISS. 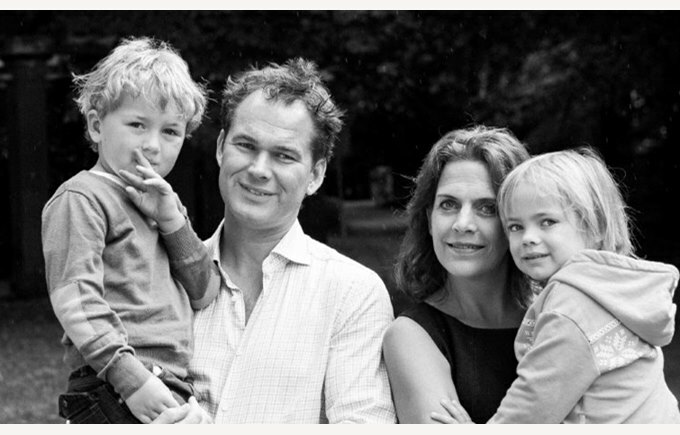 Martin and Mariët with their children Bjørn aged 6 (year 2) and Kate aged 5 (year1) arrived in Shanghai in January 2014. We live at Windsor Park in Hongqiao where many Dutch Families live. If you were to ask me what would I bring to Shanghai to get the family off to a good start the first thing I would think about is food. On trips home I try and bring back our favourite cheese, maybe a special ingredient that isn’t so easy to find here and some bottles of wine we particulary love. One of the best things about living here in Hongqiao is that we have a great bakery, so every morning fresh bread is delivered! I would also consider bringing some of your favourite beauty products and washing products. A perfume, shower gel, or children’s bubble bath can all make it feel like home with their familiar smells. Some Chinese beauty products contain a whitening product so you may want to buy creams and moisturisers outside of China. On trips home I try and bring back our favourite cheese, maybe a special ingredient that isn’t so easy to find here and some bottles of wine we particulary love. At BISS all children wear a uniform that includes smart black shoes. These are not easy to find in Shanghai and like lots of mums, I suggest you bring them with you. As for adult clothing I found that ladies sizes are small in China, so if your feet are 40 or 41, forget it! After two years living here, I still buy all my clothes in the Netherlands. We chose to live at Windsor Park because it is a great place for the kids to play with other kids; it isn’t too far from school with the bus journey being about half an hour, and it’s not too far from the city centre where we like to discover some of the amazing restaurants Shanghai has to offer. In Hongqiao you can choose to go out to dinner at The Bund or in the French Concession and not be caught up in Friday night traffic. When negotiating your rental, I suggest you make sure you like your house. This is where you will spend time and you need to feel good. If you don’t like the terrace outside or the floor inside your house there is only one moment to negotiate, at the beginning!! During the school holidays we like to relax and swim in the great swimming pool we have at Windsor Park. It is one of the best in town! I prefer to do the weekly food shopping at Metro. It is convenient and has lots of products, but most of the time I find everything I need in the different shops around Hongqiao. For our health we would use Parkway Health on Hongqiao Road and for the dentist we go to DDS where there is a great dentist and very nice person Dr Abraham van der Velde. Locally we like to eat at the restaurants on Hongmei Lu and the Laowai Jie (foreigner street). There are lots to choose from Mexican, Thai, Belgian, American, French etc. If we were planning an evening without the children I prefer to go to The French Concession or The Bund. My favourites are, The Commune Social, Mr. Willis, Elefante, Mercato and El Willy. If we are with the kids, Daliah is great because it has a slide. At Liquid Laundry they have Belgian Waffles and Le Creperie at Taojiang for their pancakes!! At the weekend we have discovered a great place to take the children is Zotter Chocolate Theatre. You can taste and make your own chocolate. We also like the Science and Technology museum where there is a lot to see and do. Sunday brunch is a bit of a traditional thing to do for expats in Shanghai and we enjoy the WestInn, The Royal Meridien or the Shangri La in Pudong. During the school holidays we like to relax and swim in the great swimming pool we have at Windsor Park. It is one of the best in town! If we do plan a trip outside of Shanghai at the weekend or in the holidays the Sofitel in Shenshan is only an hour’s drive away. They have an amazing swimming pool with small ‘beach’. We also like the old water towns and are a great visit outside of national holidays.